As the Director of ATP’s Regional Jet Program I have the opportunity to assist people who are in various stages of their aviation career, and who need a little help achieving their career goals. In the last post, I shared Part One of Jason Hallenborg’s story that he titled, “To the Airline Pilots of Tomorrow”, and this is Part Two. After successfully completing the RJ Program, Paul Templeton called me to congratulate me on successfully completing the program. I was asked if I wanted assistance with getting job offers. I said yes. I was told to submit a resume, update my logbook and identify three airlines that I was interested in working for. I said that I wanted to work for a company with quick captain upgrades, stay close to home, and fly the latest and largest turbine aircraft. In other words, exceptional turbine experience. 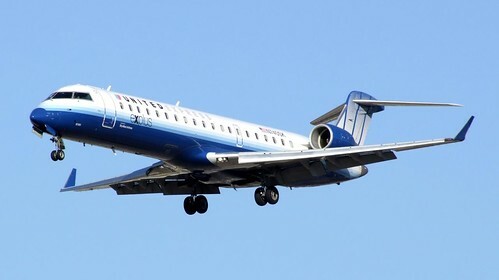 My goal is to become a captain for a legacy airline as soon as possible. Mesa was recommended. Paul then called the recruiter with a high recommendation. He shared what to expect in airline training: INDOC training, intensive systems ground school, a systems written test, the oral portion of the checkride, sim training, a simulator checkride, and then IOE (Initial Operating Experience). When I started New-hire training I met the instructors with the company and the classmates I would be working with. They were highly motivated and had the student’s success in their best interest. I used the same study habits gained in the RJ course. When I was in training, I studied, practiced and went to sleep. I was in training late at night and early in the morning. Ground school was from 7:00 AM to 4:00 PM. I had homework to do, tests to study for on weekends, ate breakfast and dinner and went to bed. The hotel shuttle usually set a time to leave the hotel and everyone took the shuttle to the training center. When class was done for the day, a classmate usually called the hotel shuttle to take us back to the hotel. The average stay was about a month and a half. 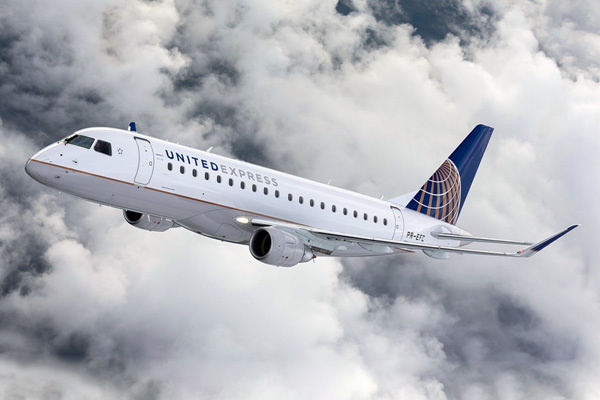 Some classmates were assigned the CRJ 900/700 aircraft and some were assigned the Embraer 175. Students on the CRJ finished training in Phoenix. Students on the Embraer 175 left after the orals were finished. Their flight training was in St. Louis or Dallas. About two or three classmates lived in Phoenix and went home after school. Another two or three classmates drove from their home on the east coast or central U.S. to Phoenix and drove other classmates to ground school. While I was on IOE, I experienced the days in the life of an airline pilot. I woke up in a hotel room, ate breakfast, and took the shuttle to my base airport to meet my IOE captain, which at first was in Phoenix. I reported at the gate, completed my duties as a pilot, and then picked up another shuttle in a strange city to go to a different hotel. I usually traveled with my IOE captain and the flight attendants. When I arrived at the hotel, I was usually very tired and usually went to sleep. After IOE I had about 35 hours in the CRJ. This was not enough time for consolidation. I then was on a reserve line and went on four day trips and two day trips until I had acquired the minimum 100 hours within 120 days of passing the checkride. In conclusion, I love what I do and enjoy doing my job well. I had to learn to be flexible so that I can adjust at a moment’s notice. I learned to always act like a professional and be humble, yet confident in my abilities. I learned to be prepared to perform well at all times. I could meet someone who could make a huge difference in my career success or someone who may recognize me as an example of the company’s impressive image and spread the word. Thank you Jason. There are thousands of pilots in the airline industry that have had an experience similar to Jason’s with ATP. Whether they have been trained from the beginning of their careers with ATP in the Airline Career Pilot Program, or have trained with us to further their careers with an advanced rating, ATP has provided the professional quality flight training that enabled these pilots to achieve their career goals. If you are serious about pursuing a career in aviation it is in your best interest to get the best flight training available, go with ATP.